One of Argentina’s top producers is standing as a candidate in the country’s national election with a pledge to tackle the “lies” that have cast its wine industry into “huge crisis”. Susana Balbo, who founded Dominio del Plata winery in 1999 and has held the post of President of Wines of Argentina three times, is hoping to represent the centre-right party Propuesta Republicana (PRO) as member of parliament for the Mendoza region. Named Woman of the Year at The Drinks Business Awards 2015, Balbo already has a track record of speaking out against the corruption and social inequality that she maintains hamper her country. At the heart of Balbo’s manifesto is a desire to tackle obstacles facing the country’s wine industry, which, she claimed, endanger livelihoods and prevent Argentina from competing effectively with other wine producing nations. In terms of the wine industry’s economic value, Balbo noted that the sector accounts for 11% of Mendoza’s gross domestic product. Even more importantly, she observed, is the direct employment it provides for 100,000 people, with another 200,000 indirect beneficiaries. “So for Mendoza’s 1.5 million population, it’s very important – 25% of our employment,” she commented. 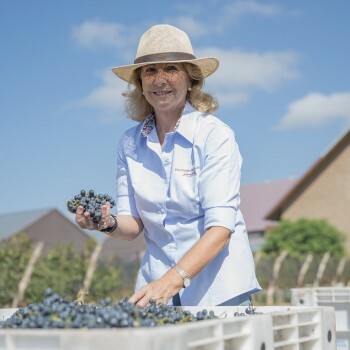 A particular problem in the last three years, she claimed, has been official data predicting a shortfall of grapes, which has encouraged growers to produce their own wine, thereby securing a higher price than if they simply sold off the fruit. However, according to Balbo, as the reality of oversupply became clear, the growers were forced to sell off their wine cheaply, a loss exacerbated by worse than anticipated inflation. In addition to this core objective, Balbo highlighted the need to encourage a more sustainable approach to water management, “a very limited resource”, and to work with the international affairs commission to establish Free Trade Agreements for Argentina. “Our neighbour Chile has 120 Free Trade Agreements and we have none,” she remarked. On the social front, Balbo pointed to a need for better education in rural areas and described the government’s healthcare provision as “very bad”. As a result, her own company currently employs a doctor two days a week to look after her employees and their families. “We need to get our country running again,” she told db. If elected, first at the primary round of voting on 9 August and then the general election on 25 August, Balbo will balance parliament’s three-day week with her existing commitments at Dominio del Plata, where day to day operations are managed by CEO Edgardo del Popolo and her children. I wish her well now that she has been elected. She has a lot of courage. The people of Argentina need change and will work to make change work. The wine industry if very vibrant in Argentina and they are turning out a much better product over the last few years.